Small diamond shaped photograph of a young woman identified on reverse as Sibyl Waterman; the photo was taken by J. E. Harvey, Photographer, 20 High Street, Clinton, Massachusetts. The transposed spelling of the name Sibyl on reverse could be an error, as I found no instances of a Sibyl Waterman online. 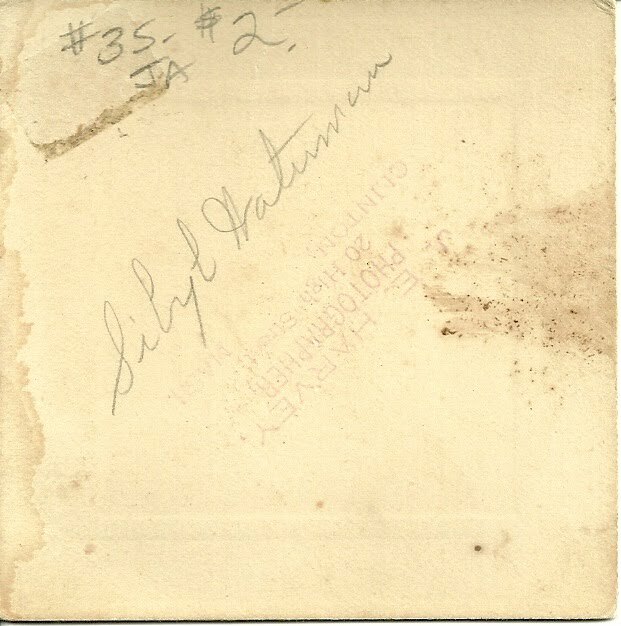 Searching online, I found an intriguing possibility: Olive Sybil Waterman, the daughter of John Elias Waterman and his wife Elizabeth Roxana (Johnson) Waterman, born in 1882 in Clinton, Massachusetts. This Olive Sybil Waterman married Ralph Eugene Damon in 1903 in Los Angeles; she later married Howard Arthur White in 1923. 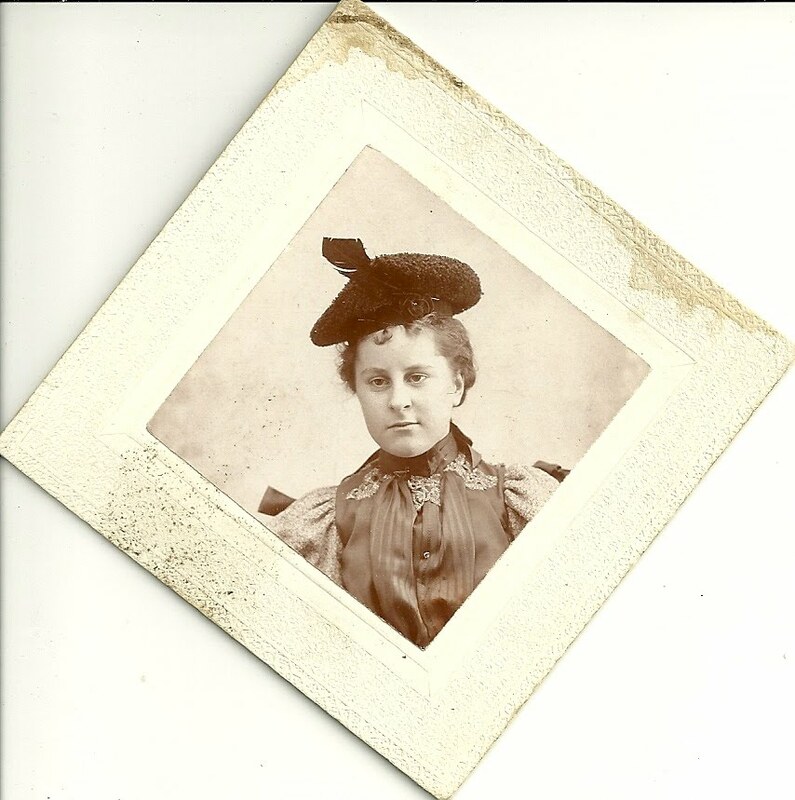 If you recognize this young woman as Olive Sybil Waterman or another Sibyl or Sybil Waterman, I would appreciate your letting me know so I can give the photograph more context. This is a photo of Sybil O Waterman Damon White. She is my step great grandmother. What are your plans for the photo ? Ernie haasmo@yahoo.com Thank You.